Employment Ontario will help you get training and experience to achieve your goals. This search tool will help you find out how Employment Ontario can help. Service Canada's Job Bank is Canada's one-stop job listing Web site. Careers in the federal public service. Employment Insurance (EI) provides temporary financial assistance to unemployed Canadians who have lost their jobs through no fault of their own and to canadians or permanent residents who are unable to work for a variety of reasons. Working in Canada is the Government of Canada's leading source for jobs and labour market information. It offers users free occupational and career information such as job opportunities, educational requirements, main duties, wage rates and salaries, current employment trends, and outlooks. To prepare for your interview, download this list of typical questions or contact us and set up and appointment for a practice interview or to attend a workshop. Service Canada's Labour Market Monitor is an overview of the Kitchener-Waterloo-Barrie Economic Region, which includes the Waterloo Regional Municipality and Counties of Dufferin, Simcoe and Wellington. The Labour Market Monitor is a monthly report focusing on labour market information produced by Ontario Region, Service Canada Labour Market and Socio-Economic Information Directorate. The Wages and Outlook Report allows you to discover how much people can earn in various occupations (Wages) and the possibilities of finding employment (Outlooks) in your province or territory. Canada Business provides your business with the resources it needs to grow and prosper, including a wide range of information on government services, programs and regulations. NSCFDC is a community organization that contributes to the social and economic well being of the North Simcoe area by providing assistance to small business owners and aspiring entrepreneurs. Careers for Inclusion Inc. is an approved Service Provider of the Ontario Disability Employment Supports Program. Retired Worker connects 50+ job-seekers to employers who are looking for the experience, broad skill base and value they deliver. 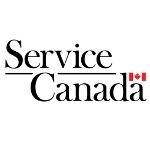 Service Canada's Career Navigator provides quizzes that will help you explore your work abilities, learning styles and work values. Career Cruising is an online career guidance and planning system. For more information on how to access this site, contact-us. Information on Ontario's 28 public colleges. This website allows you to search and compare programs, apply to the colleges of your choice as well as accept any offer of admissions that might come your way. Georgian College's primary campus is in Barrie, Ontario, with satellite campuses in Orillia, Midland, Collingwood, Bracebridge, Port Colborne, Orangeville, and Owen Sound. The latest course calendars for full time and part time studies are available at our office. The Learning Centres offer customized classes, flexible learning and teaching environments that are geared to your needs, allowing you to get your diploma, or develop new skills. Centres are located in Alliston, Barrie, Bradford, Collingwood, Midland and Orillia. The ILC is the designated provider of distance education. The ILC offers Ontario credit courses in English and French for Grades 9 to 12, as well as the Ontario Secondary School Diploma (OSSD) and the GED Testing Program. In addition, the ILC has ESL courses, and a variety of student services. The grant will provide direct financial support for employers who wish to purchase training for their workforce. In this grant program, employers choose the individuals they would like to have trained, and the training that meets their workforce development needs. Second Career is an Ontario government program that helps you train for a new job. Second Career provides financial support to help laid-off Ontarians participate in training for a new career. Once a month La Clé de l'emploi/Employment Services offers Second Career orientation. Check out our workshop schedule or come in and see us for more information. The Ontario Student Assistant Program (OSAP) helps you pay for your education. Grants and loans are given based on financial need. Student Awards is a free scholarship matching service, devoted to helping Canadian high school, college and university students by providing information about scholarships, bursaries, grants, fellowships and other forms of financial assistance. Service Canada's Apprenticeship Grants are designed to make a career in the trades an attractive choice and encourage more apprentices to complete their training. Eligible apprentices could receive up to $4,000, which can be used to pay for tuition, travel, tools, or other expenses. All the information and forms you need to apply are available at no cost on their Web site. Apprentice Search is a website designed to help connect apprentices and employers across Ontario and is a free service operated by not-for-profit organizations and community agency partners in Ontario. The Youth.gc.ca Website has been designed to provide youth with easy access to the information they need. Visit the website for more information on employment, and education as well as financial and health services. Young Canada Works (YCW), an initiative of the Department of Canadian Heritage was created to help young Canadians develop work skills and on-the-job experience. The Canada Youth Business Foundation (CYBF) helps you through the entire business life-cycle from pre-launch planning, to start-up, to implementation. If you are unemployed, not in school full-time and between 15-29, Ontario will do more to help you connect with employers and get a job placement of four to six months. Offers volunteer, transportation and housing services as well as providing community information and promoting self-sufficiency to improve quality of life within the community. Georgian Bay General Hospital has with two sites located in Midland and Penetanguishene. GBGH serves a catchment area that includes the communities of Midland, Penetanguishene, Township of Tiny, Township of Tay, Christian Island, Georgian Bay Township and Springwater Township. Waypoint Centre for Mental Health Care is a fully accredited psychiatric hospital.Waypoint provides an extensive range of both acute and longer-term psychiatric inpatient and outpatient services to Simcoe County, Dufferin County and Muskoka/Parry Sound. This website provides newcomers with information and resources to settle in Ontario, Canada. YMCA Newcomer Services ensures eligible newcomers to Canada receive appropriate English language training and settlement services including assessment of needs, orientation, information and referral, and labour market information in order to feel welcomed in the community and to participate socially, culturally and economically. New to Canada? New to Simcoe County? The Simcoe County Immigration Portal is your online resource to learn about Simcoe County and connect with your community.